The Webster’s New Universal Unabridged Dictionary defines the word “hostility” as 1) a hostile state, condition or attitude; enmity; antagonism; unfriendliness; 2) a hostile act; 3) Opposition or resistance to an idea, plan project, etc. ; 4) acts of warfare; 5) war. It has been said that the average human being should be able to hold his breath under water for at least two minutes without suffering any injury to the brain. But imagine being forcibly held under water for 10 to 40-plus years straight, without being able to come up for air! It is impossible to ignore the potential psychological trauma involved in this process. But, nonetheless, we prisoners have continued to struggle to come up for air, only to be repeatedly held down and forced back under water by the corrupt and powerful hands of the CDCR (California Department of Corrections and Rehabilitation)! History has always proven to be a viable guide to making qualitative assessments of where we have been and what lies ahead in the course of our struggle. Therefore, it is only appropriate that we highlight the essence of our human suffering with examples from our history in CDCR’s solitary confinement units. In the 1960s, we prisoners were suffocating under the inhumane and deplorable conditions in Soledad’s O-Wing,[i] where prisoners were routinely placed in these strip, quiet cells amidst the foul stench of urine and human feces. In most instances, human waste laid bare on the floor for all to see. And you could forget about the prison guards giving us anything to clean up the human waste, especially when you factor in how the prison guards wouldn’t give us toilet paper to wipe ourselves or flush our floor-based toilets on a regular basis, which could only be done by them. I mean, the prison guards wouldn’t even give us drinking water! These contradictions brought about a rescue boat in the form of Jordan v. Fitzharris[ii]. But it did not contain any life preservers because no sooner had the federal court ruled these conditions to be unconstitutional, than CDCR refused to make any changes to improve the quality of life in O-Wing for the captive prisoner class. In the 1970s, we prisoners were suffocating under the inhumane conditions of being deprived of outdoor exercise and access to natural sunlight. Our means of exercise consisted of being let out of our cells to occupy a space in front of it that was no bigger than a public sidewalk. In Spain v. Procunier[iii], the court ruled these conditions to be unconstitutional and mandated that prisoners in solitary confinement receive at least 10 hours of outdoor exercise a week. But 36 years later, in 2015, Warden Holland of CCI Tehachapi has admitted that this prison is ill-equipped to meet the mandate of 10 hours of outdoor recreation. In other words “caged monkeys” in a zoo are receiving more outdoor exercise and natural sunlight than we do! In the 1980s, we prisoners were suffocating under the deplorable and outright inhumane conditions at Old Folsom and San Quentin state prisons. These conditions consisted of extreme cold weather during winter months due to prison guards using their guns to shoot out the windows in the housing units. Rat feces circulated throughout the plumbing system, meaning that the designated shower areas for prisoners were inclusive of this kind of filth! Once again, a rescue boat appeared on the horizon in the form of Toussaint v. McCarthy[iv], where the federal court attempted to take previous rescue efforts a step further by not only ruling these conditions to be unconstitutional but also issuing a “permanent injunction” mandating these conditions to be immediately changed! However, instead of any changes coming about, CDCR surreptitiously transferred prisoners out of Old Folsom and San Quentin en masse to Tehachapi, DUI Tracy, Soledad State Prison etc., thus nullifying the injunction. ‘Rally to End All Racial Hostilities’ graphic by Youth Justice Coalition LA 101012In the 1990s, we witnessed the expansion and usage of solitary confinement units (e.g., “Supermax control units”) take flight, making CDCR’s population control objectives ever more apparent. Our suffocation was two-fold: On the one hand, a culture of police beatings (e.g., “excessive force”) was finally exposed to the public in Madrid v. Gomez[v], especially with the horror story of prisoner Vaughn Dortch, who was forced into a tub of boiling hot water. When he emerged, his skin fell off his body into a pile at his feet – what could be more barbaric? 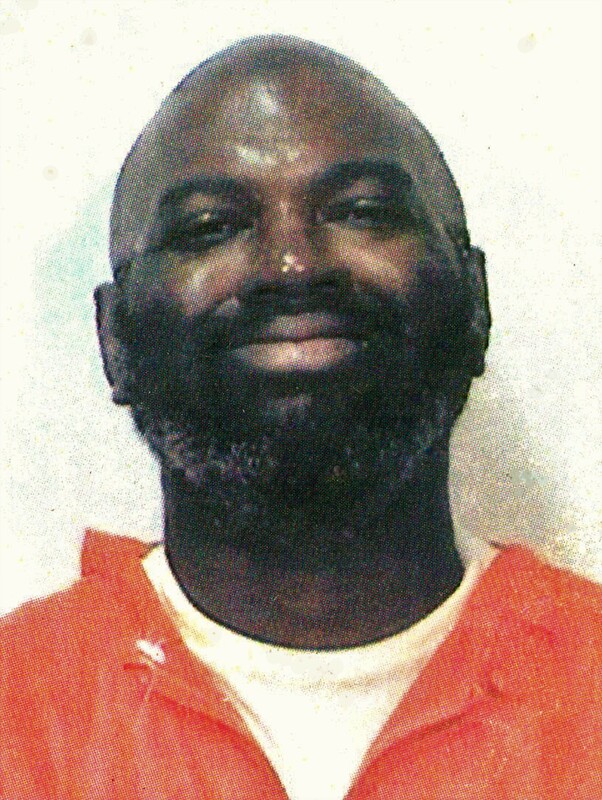 Prisoner Greg Dickerson was shot in the chest and stomach at point blank range in his cell with a 38 millimeter gas gun for the false claim he was non-cooperative with prison guards. At the same time, prisoners were being forced to become informants for the state, in order to be released from solitary confinement via “the CDCR Inquisition” program. This practice was exposed as being an “underground policy” in Castillo v. Alameida[vi], because CDCR never promulgated it through the Administrative Procedure Act (APA) to make it an actual policy. The Castillo case also brought about the six-year inactive gang status reviews, which meant prisoners were led to believe we could be released from solitary confinement after six years. These reviews were a complete sham! As we prisoners had absolutely no constitutional protections under this process, hardly any prisoners were released from SHU. But more importantly, this rescue boat was doomed from the time it left the docks, as it has now been revealed that Castillo is a pig collaborator, having become an informant for CDCR in the current class-action lawsuit of Ashker v. Brown, et. al. [vii], which has been mounted against the current conditions of solitary confinement. It is this reality that we prisoners remain confronted with when considering why we ended our hostilities – it amounts to freedom or death! It is every prisoner’s aspiration to be liberated from prison. Our Agreement to End Hostilities puts us in a viable position for this to happen, especially when we consider how CDCR has routinely denied us parole for simply being interned to indefinite solitary confinement status as alleged gang members, without a single act of violence to support their position. This speaks to the importance and the manner in which every prisoner has honored and adhered to our AEH. Our unity now qualitatively threatens the political, social and economic stability of CDCR, which is why their counter intelligence unit, Institutional Gang Investigations, or IGI, is issuing all of these bogus CDC-115 rule violation reports (RVRs) for promoting gang activity. Our fortitude and resolve to continue to live in unity ensures that our demand to be liberated from prison will no longer fall on deaf ears! As power concedes nothing without a demand! We now have the power to change the course of history with CDCR’s routine parole board denials, just as we have done in building a movement around abolishing all solitary confinement units. We must begin a similar process in mobilizing our families on this very issue. But until then, “WE CAN’T BREATHE” must become our mantra going forward, as we prisoners refuse to ease up on the powers that be until every prisoner is able to breathe by being liberated from these prisons! For more information, contact us at Kijana Tashiri Askari, s/n Marcus Harrison, H-54077, KVSP B2-101L, P.O. Box 5102, Delano, CA 93216; and Akili Castlin, J99402, [CSP-Centinela]. [i] To learn more about the conditions in Soledad’s O-Wing, read “The Melancholy History of Soledad Prison” by Min S. Yee; and also see the report of the Assembly Select Committee on Prison Reform and Rehabilitation: “Administrative Segregation in California’s Prisons” from the 1960s. [ii] The court ruled the conditions in Soledad’s O-Wing unconstitutional in Jordan v. Fitzharris, 257 F.Supp. 674, 682-83 (N.D. Cal. 1966). [iii] The mandate of 10 hours of outdoor exercise was established in Spain v. Procunier, 600 F.2d. 189, 199 (9th Cir. 1979). [iv] The living conditions at Old Folsom and San Quentin state prisons were found to be unconstitutional in Toussaint v. McCarthy, 801 F.2d. 1080 (9th Cir. 1986). [v] A culture of police terror was revealed in Madrid v. Gomez, 889 F.Supp. 1146, 1162, 1167 (N.D. Cal. 1995). [vi] Sham inactive gang status reviews were conducted every six years per Castillo v. Alameida, et. al., Case No. C-94-2847. [vii] Ashker v. Brown, et. al., Case No. 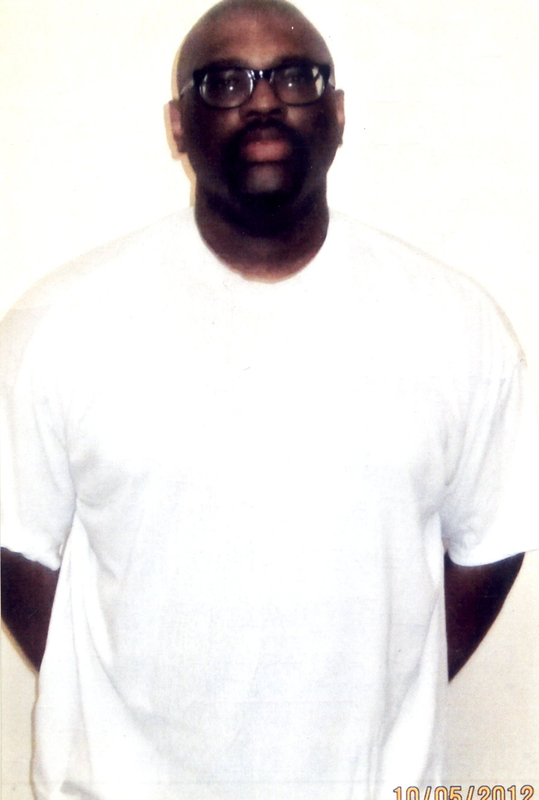 C-09-5796-CW, is a class-action lawsuit that has been mounted to challenge the torturous conditions of solitary confinement and can be downloaded at http://www.cand.uscourts.gov.